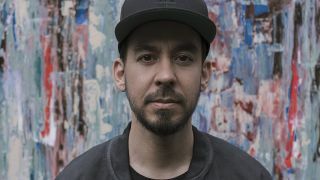 Linkin Park’s Mike Shinoda has announced a 2019 European tour. Shinoda has lined up the shows in support of his solo album Post Traumatic, which was released this summer via Warner Bros. Records. The tour will kick off in Berlin on March 2 and wrap up in Luxembourg on the 23rd of the month. Tickets will go on general sale on Friday (November 30) from 9am GMT/10am CET. Shinoda began working on the songs following the death of his Linkin Park bandmate Chester Bennington, with Shinoda reporting: “It’s a journey out of grief and darkness, not into grief and darkness. Earlier this year, Shinoda reported that it was too early to think about the future of Linkin Park. He said: “That's the million-dollar question. There aren't any answers to that at this point."